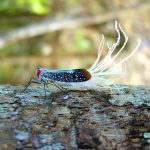 Here we have yet another amazing Amazon Rainforest insect that I was very lucky to get a picture of. 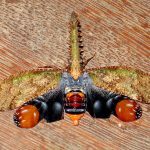 In my 20 years in the Amazon, this one was the only one that I have ever seen. 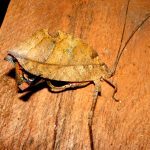 One day I was sitting in my hammock resting during the heat of the Amazon jungle, when this guy flew into my hut. As soon as I saw I, I knew it was a real find. I ran to get my camera to see if I could get a picture of it before it flew away. I did not know what it was or if it would sting me, so it took some careful corralling to get this picture without squashing it. Finally, I got it to land on a cardboard box just long enough for me to snap this amazing picture before it flew away. 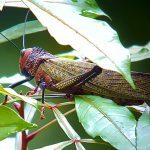 It was not until recently that I have begun to try to discover what this insect is. At first my research led me to believe it is some form of a Small Carpenter Bee. 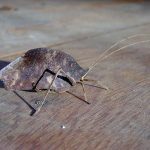 Like many of the insects I photographed in the Amazon, this one is rare and I could find no other pictures like it. 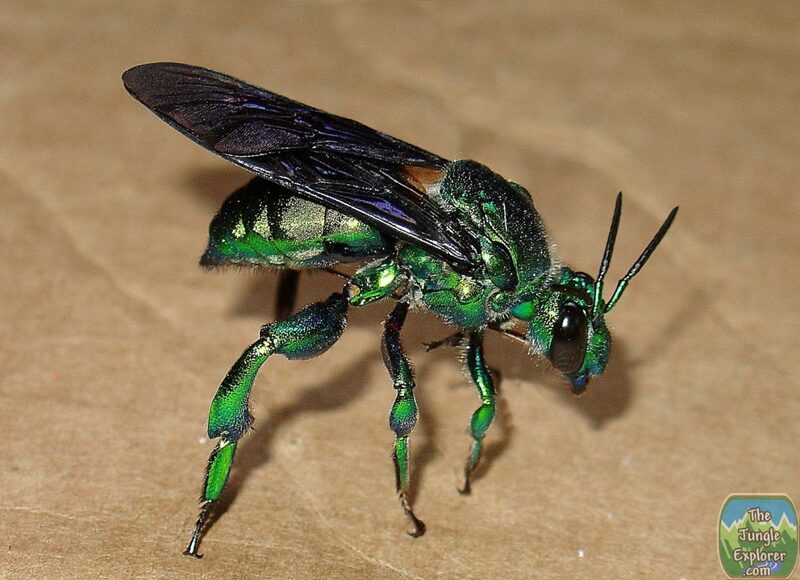 But further research reveled that it is actually a Green Orchid Bee (Euglossini). The name Green Orchid Bee comes from the fact that the males of this family visit Orchid flowers gathering fragrant chemicals which it stores and uses to attract females for mating. Kind of reminds me some guys I have known who go out looking for a girl smelling like a cologne factory. Unlike the Carpenter Bee that is found around the world, the Green Orchid Bee is found only in South America. There are about 200 sub-varieties of this bee that live in the south American Rainforest. 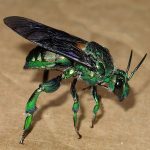 For more information about the Green Orchid Bee and other amazing tropical insects, check out these resources below.